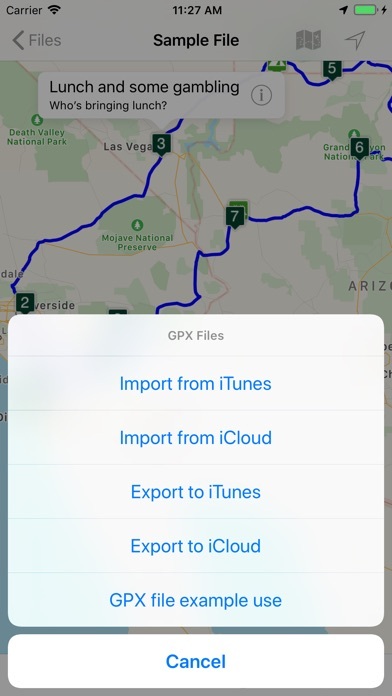 RTP Viewer allows you to view Road Trip Planner files on your Apple device. 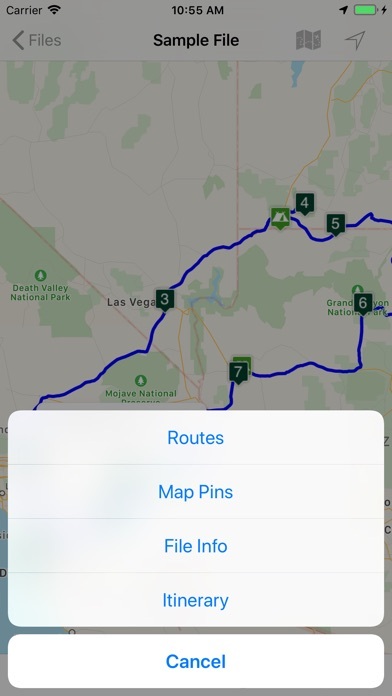 Create and edit your files with Road Trip Planner for iOS or OS X, and then anyone can view the files with this app. While you can edit the files with this app, you cannot save your edits. 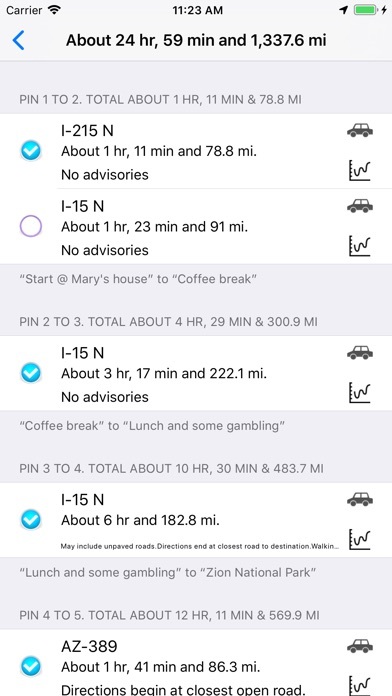 Road Trip Planner for iOS is virtually identical to this app and allows you to save your edits. Contact us for more information, bug reports and feature requests. Multiple sample files are available, including an informative Route 66 sample file. 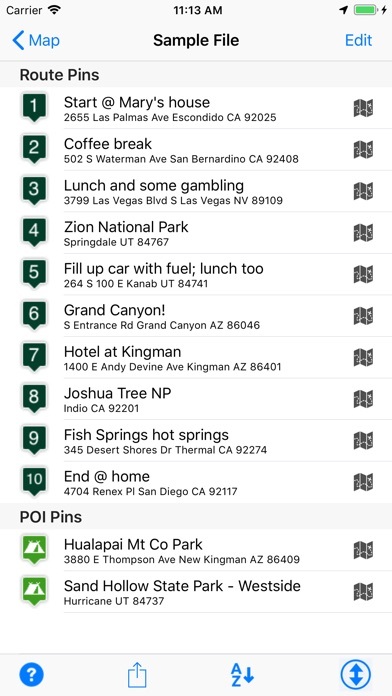 For more info on Road Trip Planner tap or click the Support URL. Fails to advise you can’t save your trip unless you save. Bait and switch. App doesn’t work. Help is non existent unless you join a google group, but the email address to join does not show in the directions. 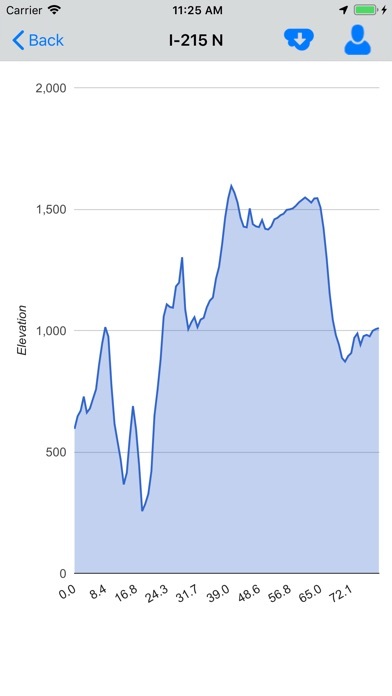 Created a .GPX on my computer (round trip from Ks to MA, with hotel, dates info). Tried opening file in RTP, brought in 25000 POI pins, didn’t recognize my route, no hotel info. Very dissatisfied. 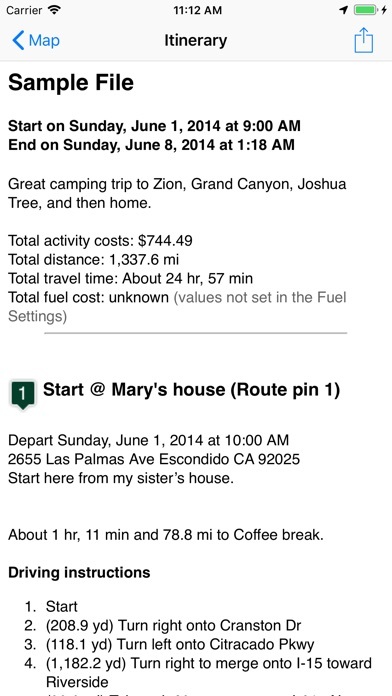 Before you can even plan a trip, you have to buy the app unless you want unsaved edits. Total rip-off. First let me say I’ve been using computers for a very long time and I can generally figure things out pretty quickly using the trial and error approach. Appreciated being able to try a free version before buying the full version. So I started with trial and error and soon realized that wasn’t working for me. No problem, I’ll use the tutorial. Swiped through the examples and thought “cool” this is easy. So, started a pretend trip, which should have been pretty easy. Home to 2 poi to home. Got the home in. Even got the first location in. Couldn’t figure out how to add the second location because the + sign wouldn’t come up again. Back to the tutorial. Went through that again. Started over. Same issues. Played with it for about an hour or so and finally decided to move on. I agree with the person who commented about Streets and Trips, not because I’m looking to go back to a pc but for its functions and ease of use. The developers snarky comment to a helpful suggestion from a customer told me all I needed to know. This has the potential of being a great app, but as is, its mostly just frustrating. I have yet to figure out how to delete a pin once it’s placed without deleting the entire file and starting all over. There also does not appear to be a search function in HELP. 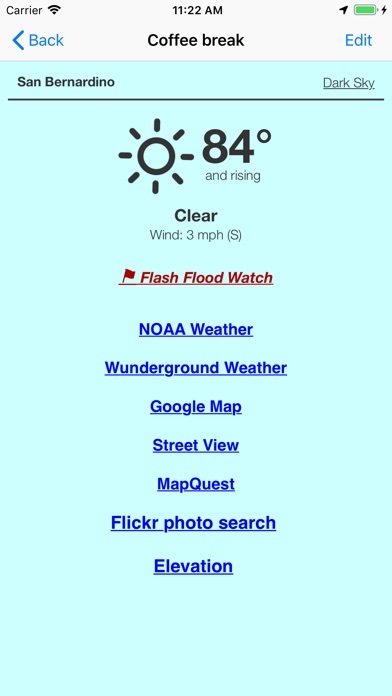 If there is and I’m missing it, that’s just more evidence of being non-user friendly. The developers would do themselves a huge favor to study Microsoft Streets and Trips for useful features and intuitive user interface. 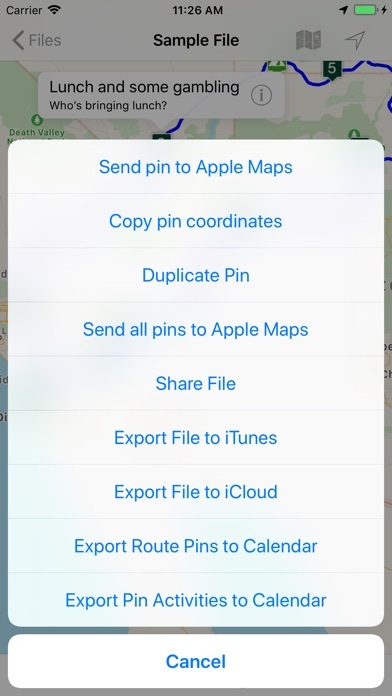 I don’t see why this is any more useful than maps. 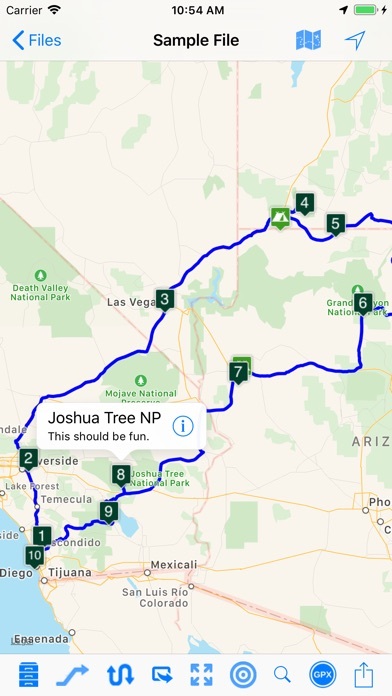 There are no features that allow you to set a destination and plan a multi-day roadtrip, by setting the destination and adding legs of the journey while looking at the entire route and seeing pois on the way. 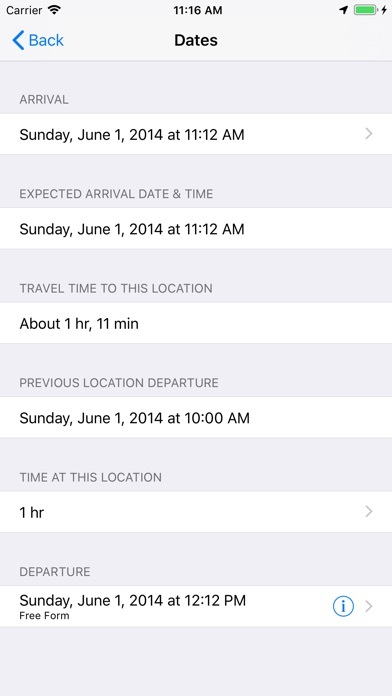 You have to know where you want to stop ahead of time and that can be mapped with google or safari maps. Or maybe you can do that but it isn’t user friendly then.